A wonderfully heartwarming, feel-good book. A must read for romance lovers! Sometimes I need badass vampires duking it out. Sometimes I need some post-apocalyptic drama to ratchet up my suspense level. Sometimes I need an undecipherable puzzle to engage my inner nerdiness. And sometimes, I need a romance to fill all the recesses of my heart. It felt like a pure, unadulterated love story that reminded me of why I fell in love with… well, love. I sighed, swooned and oohed my way through the book as this wonderfully addictive, heartwarming story unfolded. Bella Andre has an effortless way of capturing both the invigorating high and natural fragility of love. This story tells the tale of two kids who instantly connected, two people who thought their togetherness was impossible, two adults who when fate intervened, fell more deeply for each other than they ever imagined. Sophie and Jack’s story touched my heart in more ways than one and I loved every emotionally charged moment of it. Quiet, nice Sophie Sullivan has been in love with Jake McCann since she really knew what love meant. She met this boy when she was 5-years-old and he was pulled into the Sullivan fold by her brothers. Her nose was always stuck in a book, but her eyes were always on Jake. Over the years, she kept her feelings silent. Jake obviously didn’t share the same feelings. As children, he always joked about her and as adults, he ignored her in favor of a bevy of women, none which stuck around. She still couldn’t shake him. Couldn’t ignore the feelings that simply intensified over the years. So while at her brother, Chase’s wedding, Sophie comes up with a plan. She musters all her boldness to give it one final shot. It’s now or never. Jake wouldn’t know what hit him. Sophie transforms from simple librarian to a gorgeous knock-out for the wedding, inciting possessive, jealous-kind of unexpected feelings in Jake. Seeing Sophie made Jake embrace his inner alpha, wanting to claim her as his forever. Jake had loved Sophie all his life, but he knew he wasn’t good enough for her. Worthy of her. 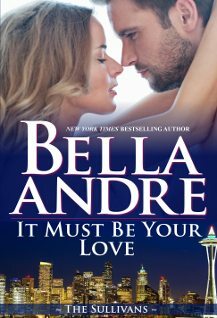 At over 6 feet, covered in tattoos and making a living — although a successful one — running a chain of Irish pubs, he thought Sophie deserved much more than him. He’d had a painful childhood and carried a shameful secret he vowed never to reveal. He had managed to keep his heart in check and his hands off Sophie for so long, but suddenly seeing her like this, with desire in her eyes, it was too much. Too much to resist. That day… that night… would change everything for Sophie and Jake. Two people whose unrequited love finally beckoned for an answer. Their story tangles and untangles in a series of emboldened confessions, fated consequences and determined promises. They must learn to share their feelings with each other first, and trust enough to know that what they have is real. There’s wit, sexiness and romance in spades. 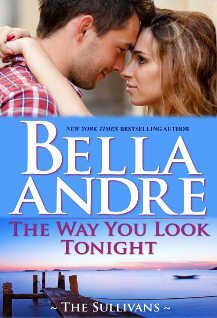 Bella Andre gives us the kind of love story you can’t help but get lost in and the kind of characters that you grow to care about deeply. 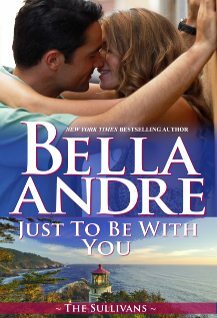 This is my first Bella Andre book and I can assure you it won’t be my last! Click on the cover to purchase from Amazon U.S. Each book can be read as a standalone. Love, love, love this series and Jake and Sophie are my faves!!! I Love Sophie and Jake !!! !